Ulster County real estate is nestled in the picturesque Hudson Valley and has been attracting New York City dwellers for years. So many have made Ulster County their refuge from the big city. Many own vacation and summer homes there. In fact, Ulster County real estate has recently been drawing interest, not only from all over the country, but all over the world. This comes as no surprise, given all that this exceptional area has to offer. Ulster County is ideally located between scenic riverside settlements along the mighty Hudson River on Ulster's eastern flank and the majestic Catskill Mountains as its western backdrop, offering uncommon diversity within its borders. Imagine this: urban sophistication, just a short drive away from pastoral serenity, alongside thriving and picturesque farms and orchards, punctuated by huge swaths of forever-wild, preserved land—best of all of it's less than a quick 100 Thruway miles from Manhattan. Small wonder that so many have come for the day and stayed for a lifetime. Check out our real estate listings below, or continue to read more about Ulstery County, NY. If you have questions, please contact Taft Street Realty at 845.687.9292. 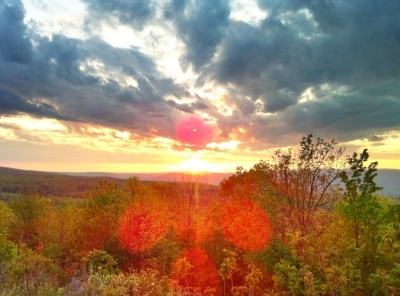 Why Choose Ulster County, NY Real Estate? Ulster County, NY real estate has long enjoyed a reputation among discerning homebuyers seeking a convenient, peaceful, and private weekend refuge surrounded by nature's ever-changing canvas—from summer's fern-carpeted forests to the brilliant crimson and gold panoramas of fall, and on into winter's silent, pure-white blankets gently draped over mountains and meadows. Anyone interested in buying Hudson Valley real estate in an area where they can enjoy scenic and quiet country living should certainly consider exploring Ulster County real estate options. Not only is the area charming and beautiful, it is also full of remarkable history and offers a culture-rich environment. It is perfect for families, individuals, retirees, writers/artists, whether for vacation or permanent residence, it just doesn't get any better. Now homes in Ulster County are becoming the choice for a growing number of full-time residents, thanks to its excellent schools, a growing network of bus and rail transportation, and its proximity to a soon-to-be-major airport. It would take no more than one visit to entice someone to picture themselves living an active, serene, culture-rich lifestyle in their dream home. We would love to share with you the countless benefits of life here and help you explore your options. Ulster County real estate options include something for everyone: whether you are seeking a condo, townhouse, farm house, or a home on the water, we can help you find exactly what you're looking for. The diversity of real estate in Ulster County allows you to live the way you want to live: from the small-city sophistication of Kingston, to the pulsating artistic and intellectual energy of New Paltz (home to the most sought-after campus in the entire state university system), to the sleepy country contentment of little hamlets like Olive, Cragsmoor, and Stone Ridge. Stately historic stone homes, many from the 1600's when the area was first settled, have for the last 400 years watched over the same country lanes you would be driving on today. Again and again, the good life meets granola. Lost in what seem like remote backwoods on your way to legendary Woodstock with its carefully preserved 1970's aura of peace and love, you round a bend in the road and unexpectedly pass yet another Zagat-rated epicurean temple of fine dining. The sheer, towering white granite cliffs of the Shawungunk Ridge to the west—an irresistible challenge to gritty, hardbody rock climbers the world over—are just a short distance from the renowned Mohonk Mountain House and the legendary, old-world pampering that has always been the hallmark there. And just down the road from a shop specializing in gleaming, restaurant-quality cookware you're likely to find home-dug potatoes in a farmers' market, or a little unattended stand displaying locally-picked apples by the bag—just leave your money in the box, please; no one is watching. The living history alone makes Ulster County worth the visit. There are historical landmarks and museums throughout the area displaying the rich culture and unique history that draws the attention of so many. In fact, Ulster County's superb living quality is greatly due to tourism and the arts, and is also what attracts so many people from urban areas. It is an entirely different way of living. There is so much to explore and the location is perfect as an oasis from the city, but not one that is too far away. Of course, the only way to know for sure is to experience it yourself. Boulder, Colorado claims the title “Outdoor Capital of the United States” only because Ulster didn't think of it first. And Ulster deserves it. Thousands of acres of preserved parkland contain hundreds of miles of trails for hiking, mountain biking, cross-country skiing, and trail running. Southeast Ulster is considered the hang-gliding capital of the East. Cyclists consider the Hudson Valley Catskills some of the best road and trail riding in the country. And in snow season, good ski slopes are never more than an hour away. If at any time you have questions about real estate in Ulster County, please don't hesitate to contact Dylan Taft, Principal Broker/Owner, Taft Street Realty, Inc. Office: 845.687.9292 or Mobile: 845.380.3394.